Is retailing icon JC Penney in big trouble and unable to reverse the trend? The once-booming retail giant founded by James Cash Penny in 1902 has been struggling for the past few years and tried a variety of marketing strategies to adapt — and some proved disastrous. Now comes news that it’s closing 33 stores and laying off 2000 employees. Is this natural adaptation, or a grim foreshadowing of what’s ahead in a 21st century with greater competition from companies that sell cheaper and Internet competition that makes ordering easier? J.C. Penney Co. is attempting to right-size itself by closing 33 under-performing stores around the country and eliminating 2,000 positions, the retailer said Wednesday. The Plano, Texas, company said it hopes the effort will save $65 million a year beginning this year. Units getting the ax will finish shutting down in early May…. The company operates roughly 1,100 stores nationwide. J.C. Penney has traveled a rough road retracing its steps to its pre-Ron Johnson state. Johnson, an Apple alum, was brought in as chief executive in November 2011 to jazz up the department chain’s staid reputation. He left less than two years later after several straight quarters of tanking sales and consumer complaints over the disappearance of beloved discounts and store brands. Now, the cycles of promotions are back, as are labels such as St. John’s Bay. On Wednesday, spokeswoman Ann Marie Bishop confirmed that the company was reinstating a commission pay system for its salespeople in the window coverings, furniture and fine jewelry departments. The switch is set to occur in February and March and will affect more than 3,000 employees. “Offering a competitive salary base that includes a commission incentive not only helps in retaining some of our best sales associates, it motivates them to build and maintain stronger customer relationships,” Bishop said in an email. It’s worth noting that some JC Penney stores are highly busy. Yours truly is a big JC Penney customer, buying in the store and ordering online. In chats with employees at the company’s stores in the Fashion Valley mall in San Diego and the Westfield mall in Escondido, it’s clear those two stores stay busy and do a solid business. At least one analyst, quoted by the Wall Street Journal’s blog, says the store closures shouldn’t be seen as step that fix the company’s long term problem. 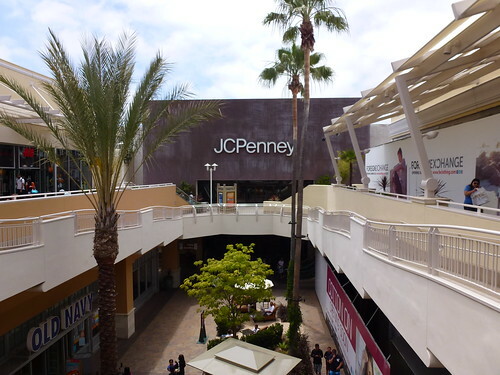 J.C. Penney Co.’s decision to close 33 underperforming stores and to trim 2,000 positions won’t have much significant long-term impact on the retailer’s business model, one analyst says. Rick Snyder, senior retail analyst at Maxim Group, says the announcement — which J.C. Penney says will result in $65 million in annual savings — only changes his forecasting models slightly. Mr. Snyder has a hold rating on J.C. Penney and doesn’t have a price target on the stock. While few are completely ruling out any chance of the company’s survival, few see an easy fix for 112 year old company. Will it be around 112 — or 12 — years from now? Here’s a list of the store closings.